Due to aging, the elastin and collagen structure of the skin loses elasticity and the skin loses some of its self-moisturizing components making it appeared loose and saggy. Plus, age can make the facial muscles weak, which also contributes to saggy skin. There are lots of skin tightening creams and treatments like facial lifts. But there are some natural skin tightening treatments that you can try before making a life-changing and financially bound decision. 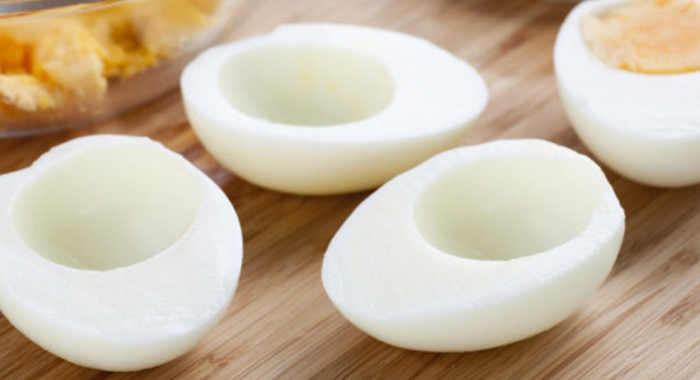 Egg whites are a natural astringent and hence work as a good remedy for sagging skin. Its skin-nourishing ingredient hydro lipids help lift loose skin. Whisk one to two egg whites until you get a foamy texture. Apply it to the face and neck. Leave it on for about 20 minutes and then rinse it off with cool water. Another options is to add one tablespoon of plain yogurt to one egg white and whisk it. Apply the mixture to your face and neck and leave it on for 20 to 30 minutes before rinsing it off. You can use either of these remedies twice a week to enjoy firm, radiant skin. Peel and mash 1/2 ripe banana so that no lumps remain. Add 1 teaspoon honey and 1 teaspoon olive oil and mix well. Apply the paste all over your face and neck. Leave it on for 15 minutes and then rinse with lukewarm water. Do a final rinse with cool water to close your pores. The vitamin C in lemon helps boost collagen production. This in turn helps restore elasticity to your skin. Plus, lemon has astringent properties that help tighten the skin and reduce wrinkles and other signs of premature aging. 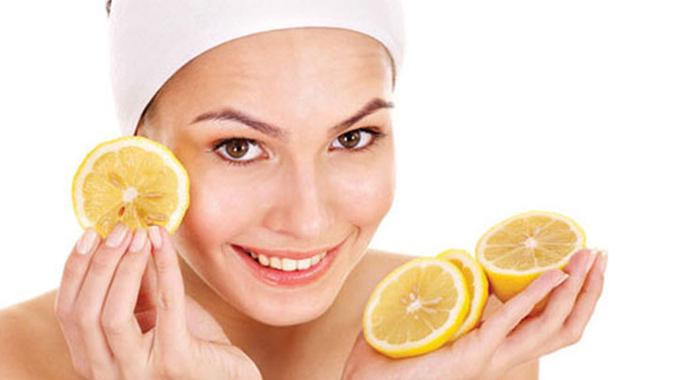 Extract some fresh lemon juice and rub it gently on your face and neck. Leave it on for five to 10 minutes and then rinse your face with water. Do this two or three times a day and follow up with a good-quality moisturizer. You can also add the juice of half a lemon to a cup of cold water. Splash this mixture on your freshly washed face. Allow the lemon water to air dry on your face. Follow this remedy once or twice daily for best results. 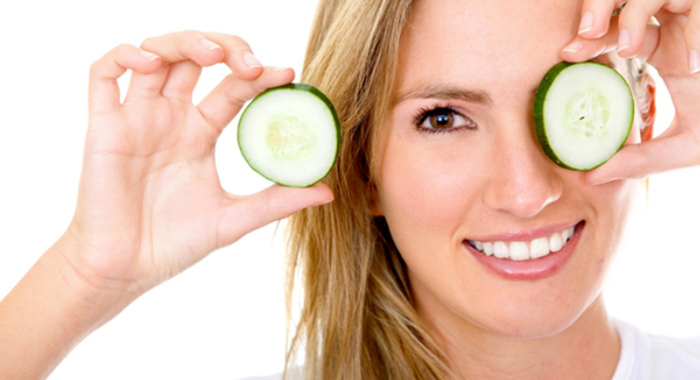 To tighten loose and saggy skin, you can also use cucumber. It is one of the best natural skin toners and has a refreshing and rejuvenating effect on skin. Grind half a cucumber and squeeze it through a strainer to extract its juice. Apply this juice on your face and leave it on until it dries. Rinse it off with cool water. Follow this remedy once daily. You can also combine one tablespoon each of grated cucumber and plain yogurt. Apply the mixture on your face and leave it on for 10 to 15 minutes. Rinse it off with lukewarm water. Repeat several times a week. You can also make a face mask with two tablespoons of fresh cucumber juice, one egg white and three to five drops of vitamin E oil. Apply this mask on your face and neck, leave it on for 15 minutes and then wash it off with cool water. Use this mask once a week. Castor oil is an excellent skin conditioner and will treat all the dry patches on your face in just a few applications. It enhances the collagen and elastin production, making your skin more firm, taut, soft, and smooth. Add either 1 teaspoon lemon juice or 1 teaspoon lavender oil to 1-2 tablespoons castor oil and mix well. 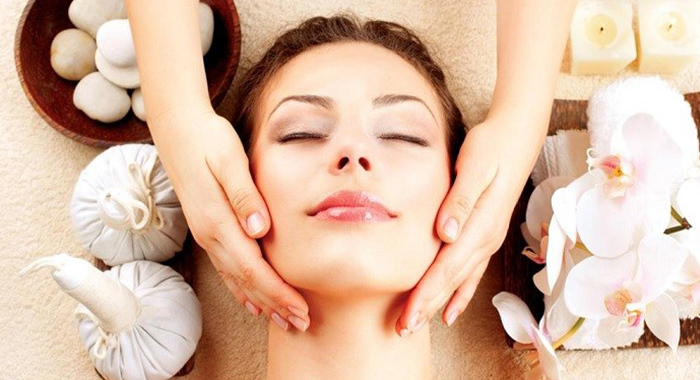 Massage this mixture in upward circular motions on the face and neck. Keep massaging for a few minutes. Rinse with lukewarm water first, followed by cool water. 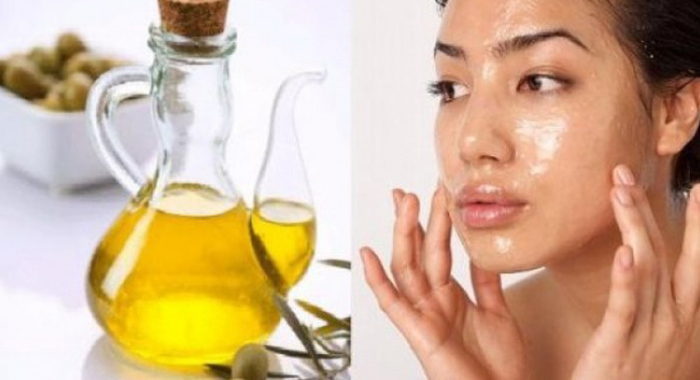 Massaging your face and neck with a natural oil like olive oil helps tighten loose skin to keep it firm and smooth. Olive oil has antioxidants like vitamins A and E that render anti-aging benefits. It will also help keep your skin well moisturized. Slightly warm some extra-virgin olive oil in the microwave. Apply this oil on your face. Massage gently with your fingertips in circular motions for 10 minutes. Follow this remedy once daily before going to bed. You can also use avocado, coconut, grapeseed, jojoba or almond oil to massage your face, neck, arms and legs. 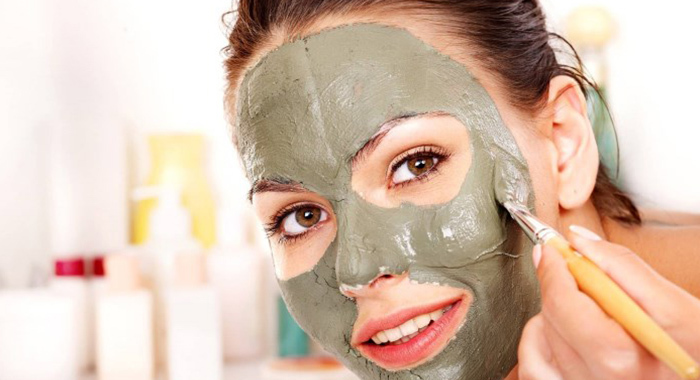 Mix 2 tablespoons bentonite or Kaolin clay, 1 teaspoon powdered milk and water or rose water to get a thick paste. Apply it evenly with your fingers or a face mask brush all over the face and neck. Let the mask dry for 10-15 minutes. Rinse your face. Honey is also a great antioxidant that helps moisturize skin, and can take years off of your face. Mix together one-half tablespoon each of honey and sour cream. Then mix in one-half teaspoon of turmeric powder. Apply the mixture on your face for 15 minutes. Rinse it off with lukewarm water and then splash some cold water. How To Use Sunscreen With Makeup.